CoinFest always needs more organizers. We hope to spread across the globe, and could use your help! Although you will not directly profit from this event, you will get media attention and experience that will add to your credentials, find you new connections, and indirectly bring publicity to your other ventures and projects. This presents a great opportunity to prove your ability to manage an important project, all while making a difference and earning the thanks of your fellow enthusiasts. We will also link to your website from CoinFest.org. If you want to help out, but don’t have the time to take on an organizer role, feel free to volunteer as little or much time as you can! CoinFest needs to cut costs wherever it can to maintain its free status, and every pair of hands, vehicle or lent piece of equipment helps. You can run an educational booth to teach the beginners in attendance, or assist with set-up or clean-up. We probably can’t pay you, but you’ll make lots of new friends and get the chance to meet important people in the cryptocurrency community. We might also need help with content design, web design, translations and other small projects. For those of you not worried about preserving your anonymity, CoinFest also represents a great sponsorship opportunity for cryptocurrency-specific businesses and organizations. Donate to one of the regional CoinFests to get physical advertising or a booth, or give to CoinFest.org to get advertised here! Supporting CoinFest proves to the community your dedication to advancing the cause, while helping build a more profitable environment for your enterprise. 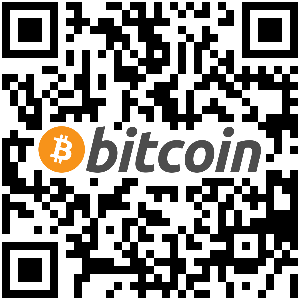 We convert new users to Bitcoin at every CoinFest convention, and you want to get to them first. If you don’t have time to help out, but want to support CoinFest, feel free to donate to the cause! CoinFest operates under a decentralized donation structure: you can give to any individual regional CoinFest, or to the main address here at CoinFest.org for redistribution. Unfortunately, since CoinFest operates outside the traditional finance system and is not officially registered as a non-profit, we cannot offer tax receipts.